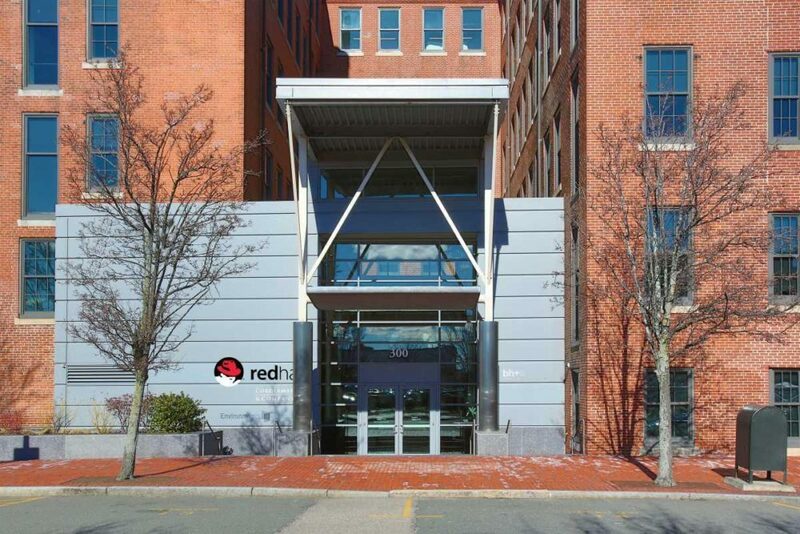 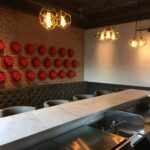 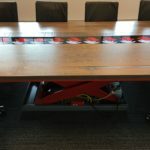 Red Hat - 300 A St, Boston MA - J. 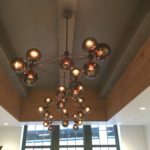 & M. Brown Company, Inc. 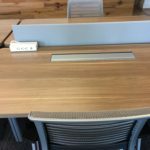 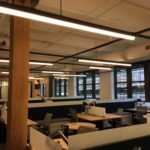 Scope: J&M Brown was responsible for the complete demolition and electrical construction of Red Hat’s new office in the Seaport District. 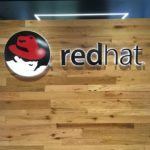 The exposed brick and wood space is home to Red Hat Open Innovations Labs, the Engineering Lab and a state-of-the-art Executive Briefing Center. 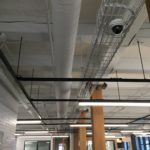 Traversing two full floors, the electrical scope included 2,000′ of cable tray, 2,200′ of custom black, powder-coated grid to hang fixtures and relocating the entire electric room and dividend it into two new locations. 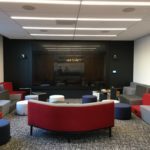 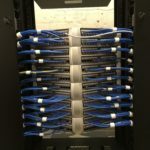 J&M Brown’s low-voltage division, SpectrumIT, installed the Teldata, Security and AV for a coordinated effort.